Choose Your Costa Rica Property! Choose your Costa Rica Property below - you have the choice of 5 beautiful lots, all with views of the ocean and all fully titled with water and electricity available! We will consider reasonable offers on all properties! 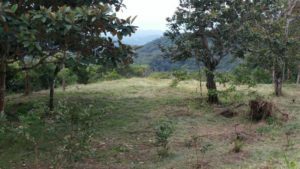 Lot 1 is a beautiful Costa Rica property that is almost entirely flat - there is a slight incline on part of it but it has more flat area than any of the other lots. 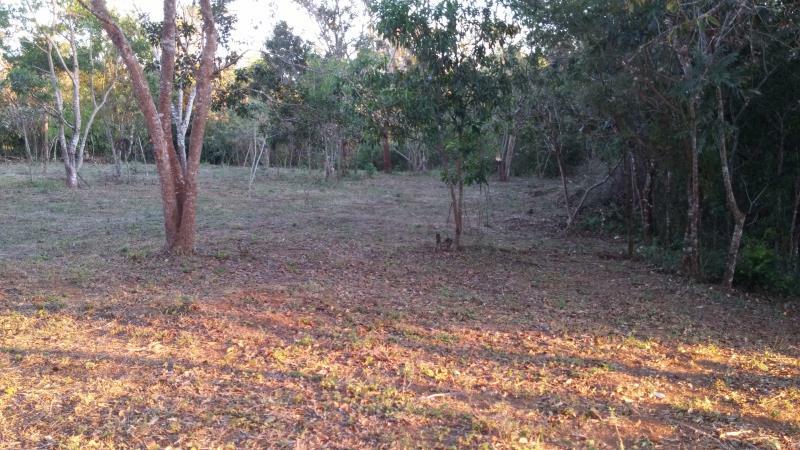 Lot 1 not only has an ocean view, it has privacy, both from the road and from the other lots due to the many trees and the way the main road is a little lower than the main building area due to the slight incline of the lot. Lot 1 has lemon trees, avocado, orange, and guayaba trees. It has many varieties of trees and a park-like atmosphere. 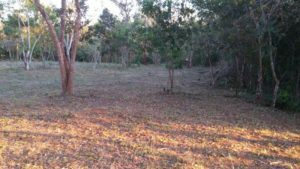 This is our lowest priced lot only because of the narrower view of the ocean from the ground floor, but a 2nd floor deck or living room with picture window would provide the same basic view as the other lots! 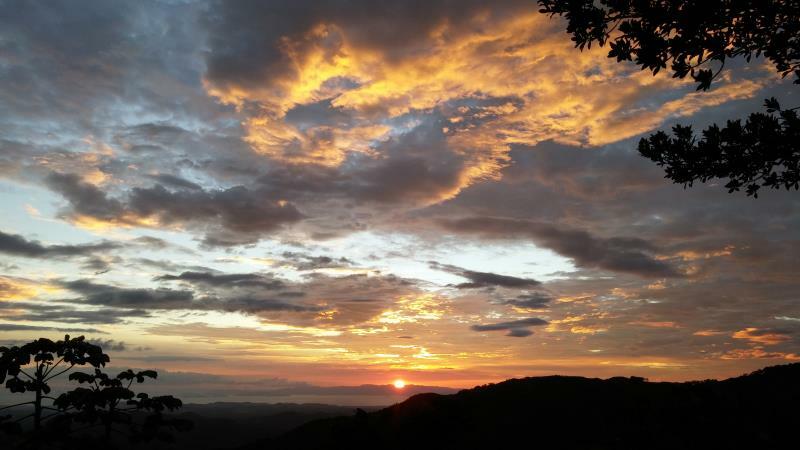 See the Lot 1 Gallery for more info and more photos of this beautiful Costa Rica Property! ONLY $45,000 U.S. for this one! Send us an email or call us about this lot now! Lot 2 has one of the widest and most beautiful views of all! 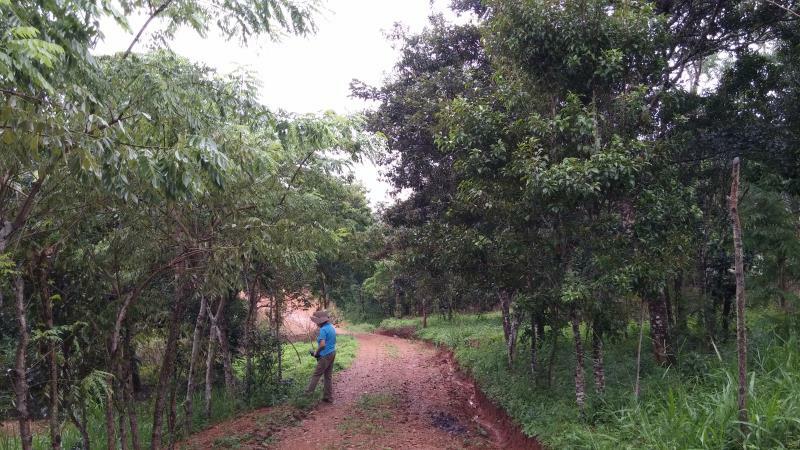 It includes a small orchard of orange, lemon, avocado, guayabana, guayaba, banana, and mango trees. 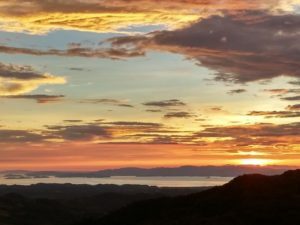 At the top of the hill just like Lot 3, it has an amazing view of the gorgeous sunrises and sunsets over the Gulf of Nicoya. It also has its own private driveway if you choose or you can use the same driveway as Lots 1 and 3. This is the 2nd largest lot but has more usable space, with several good building spots for the main house, guest house and/or cabins. It is ready to build on and the electricity and water is very close. Sitting on top of a hill it is the highest of the lots, has amazing sunset views out over the ocean, and its 3.73 acres includes an orchard and other fruit trees: mango, bananas, orange, lemon ,avocado guayaba, guanabana, nancy, and manzana de agua. 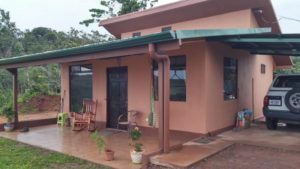 It has a 3 year young 1BR house made with almost no wood - it uses SIP panels which are earthquake resistant and very strong, well insulated and easy and inexpensive to add on to! So if you need a 2nd bedroom or office, utility room or what not, for a little more money you can have it built. I will even supervise the construction for you if you wish. Plenty big for a loving couple already, but you could easily add another room or two for very low money and less than one month of construction time since it is made with SIP panels which are easy to build with and super strong and long lasting. No worry of termites and very tightly put together to make it hard for bugs to get in! I doubt you can find a more private and quiet house! But one with these million dollar views of the ocean is something you simply will not find anywhere else. If you're a nature lover and want quiet and privacy, while having nice neighbors nearby, this is a once in a lifetime opportunity for you! For more info and lots more photos see the house page here! 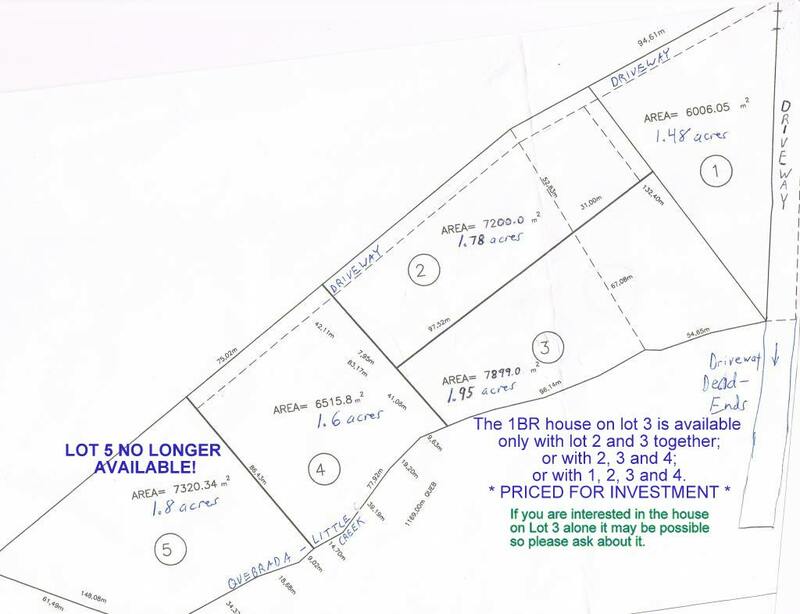 Lot 4 is 1.6 acres. It is situated below Lots 1, 2 and 3 but has the same ocean views, just closer! This lot has the ultimate private and quiet experience of the beautiful views and Nature Rancho Silencio has to offer! With a small stream running nearby on both sides of the lot (they run only in the rainy season) you get to hear the sound of running water. There are many many trees of various varieties and it includes guayaba, mango, cas, avocado, lemon, and orange trees. The view of the ocean and sunsets is breath-taking and you will see many birds including toucans, hummingbirds and others, and the white faced monkeys pass through occasionally to say hello while they eat some fruit just below the hill that is within your front yard view! It has several building sites, many trees and flat areas for anything as well as a green zone below the best building spot where you can see monkeys and toucans from your yard. It is the most private and desirable lot we have. It is the crown jewel of Rancho Silencio! See more photos and more info about Lot 4 here! Also please be sure to check out our various other photo galleries of SUNSETS,FLORA AND FAUNA, AND OUR VIDEOS. Note that all of the lots provide the same basic views of the ocean! But even these great beautiful photos do not do justice to the beauty of this Costa Rica property so you have to come see them in person! Contact us by email or phone now to learn more! CREDIT TERMS AVAILABLE ONLY ON LAND, NOT ON THE HOUSE. YOU MUST HAVE TRIPLE AAA CREDIT IN ORDER TO QUALIFY FOR A PAYMENT PLAN.